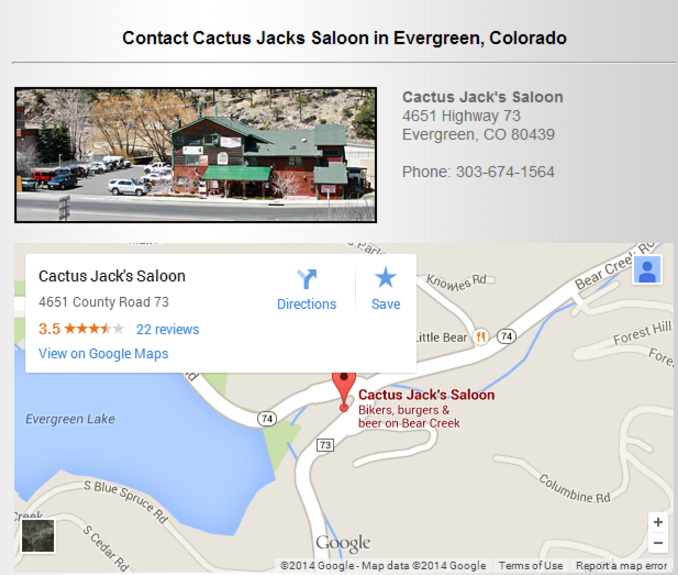 Post subject: Cactus Jacks NEW Evergreen Bound Webcam!! 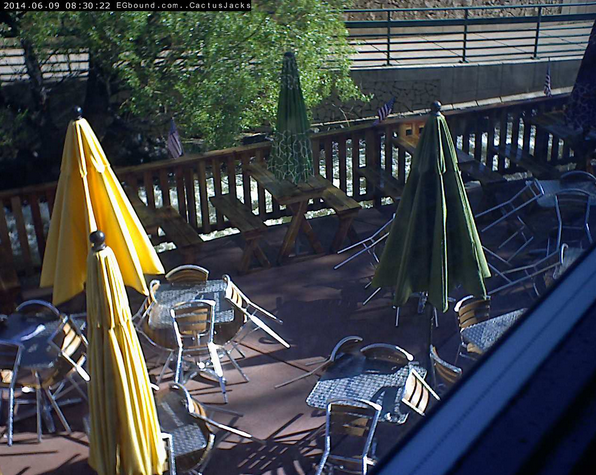 We are proud and excited to have Cactus Jacks patio as our first Evergreen Bound webcam! We have others in the works! It updates every 1 minute. If you want know the last update there is a time stamp on the top left! 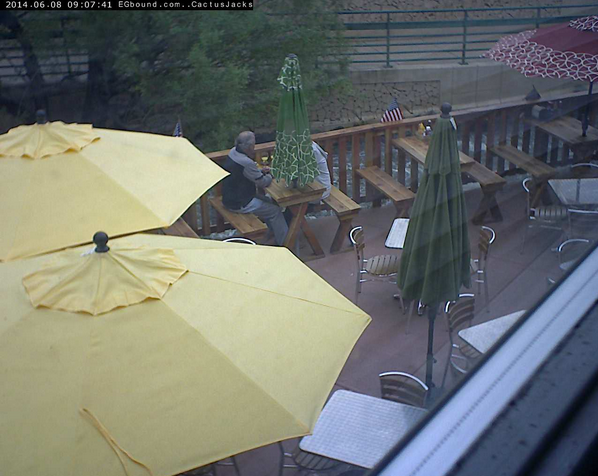 When they put the umbrellas down you can see the river! Awesome!! I'll be able to keep tabs on my kids!! Arguing with a liberal is like playing chess with a pigeon. No matter how well you play chess, the pigeon just knocks over all the pieces, craps on the board, spews some unintelligible profanities, and struts around like he won." Congratulations on the webcam! I can't wait to see more go up. good camera I will be watching it. I will have to watch myself on camera.